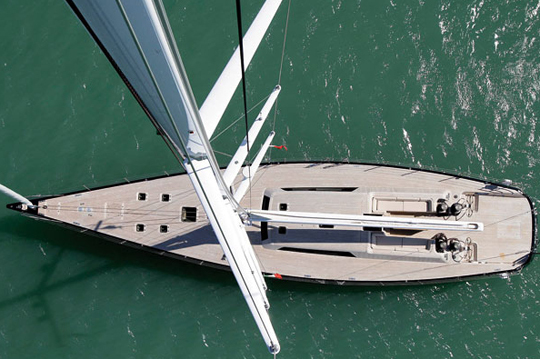 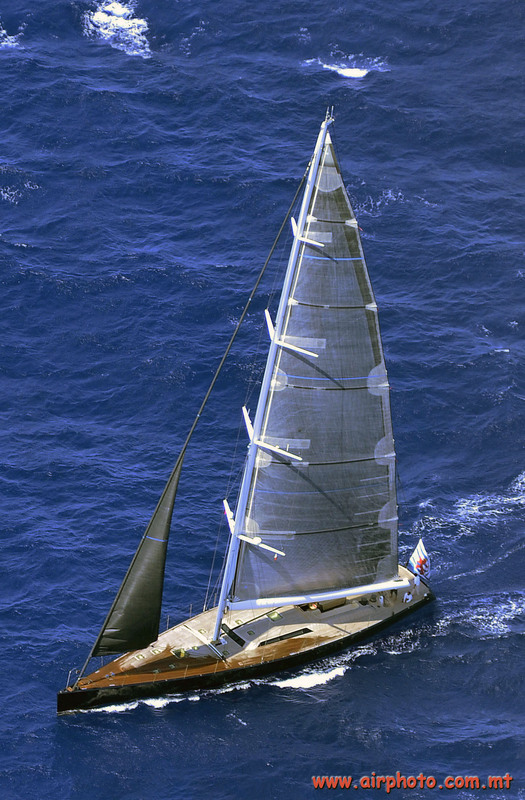 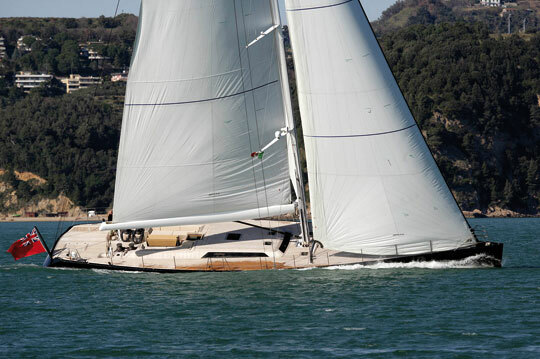 Sailing Yacht BARONG C is a 94 foot sloop built by Wally with a light displacement design for high performance. 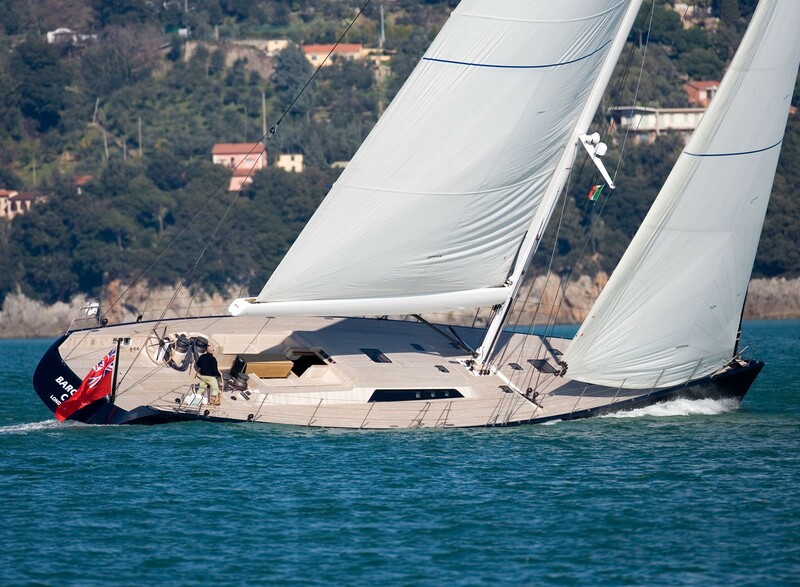 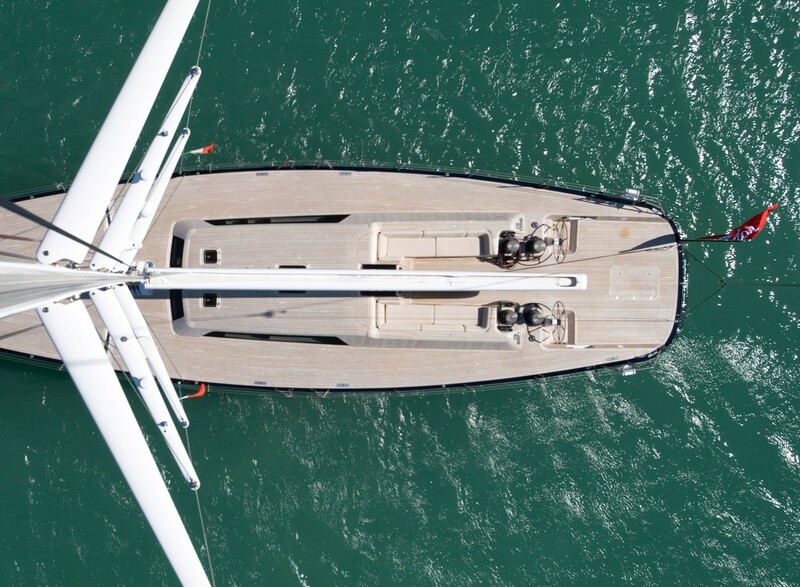 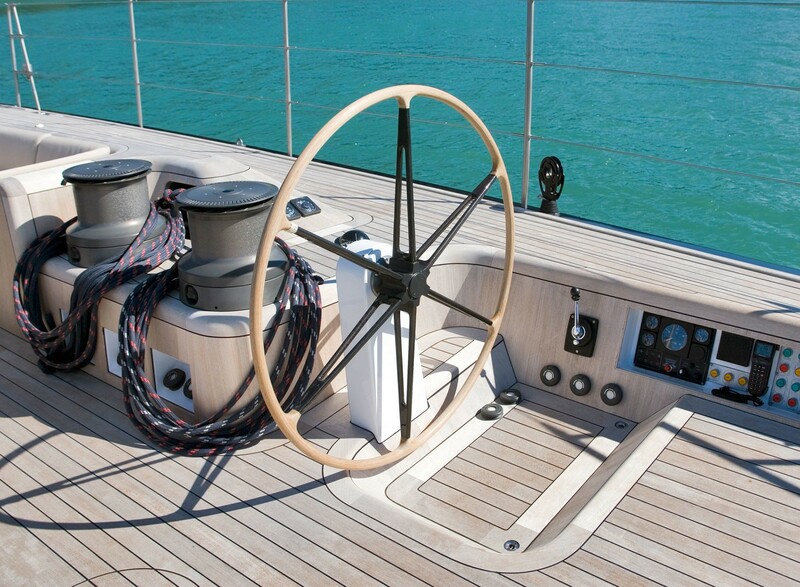 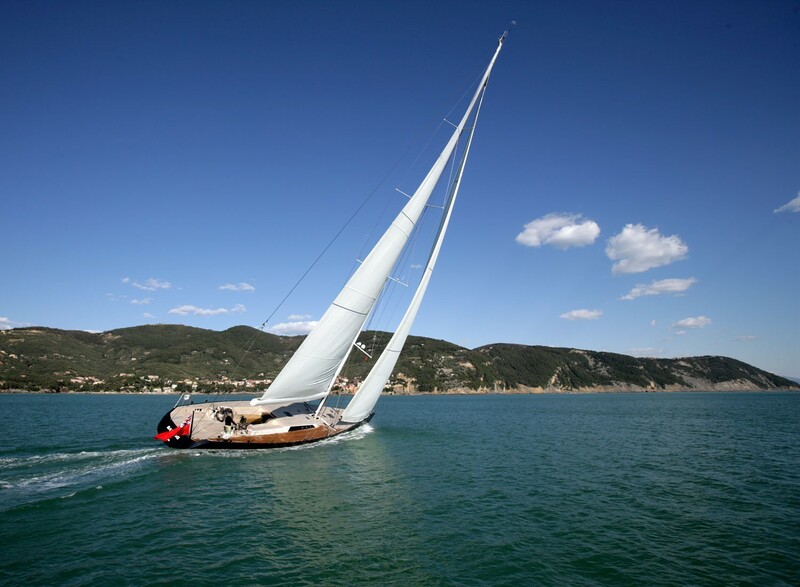 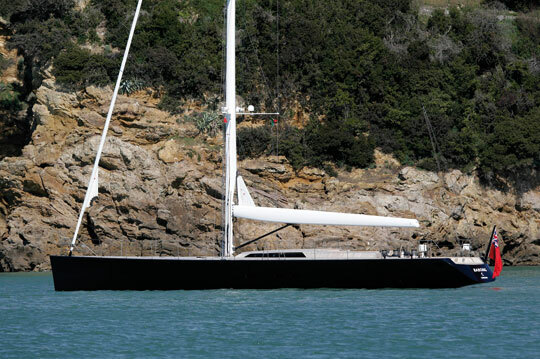 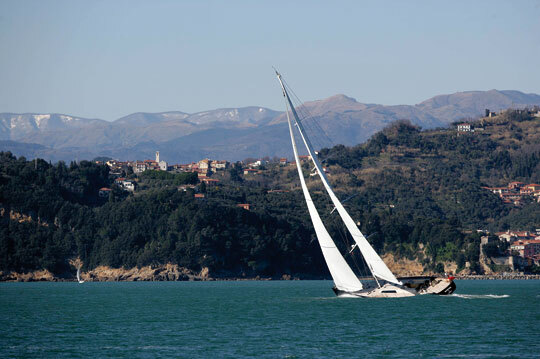 This sailing yacht easily reaches 10 knots of speed upwind in 8 knots of breeze. 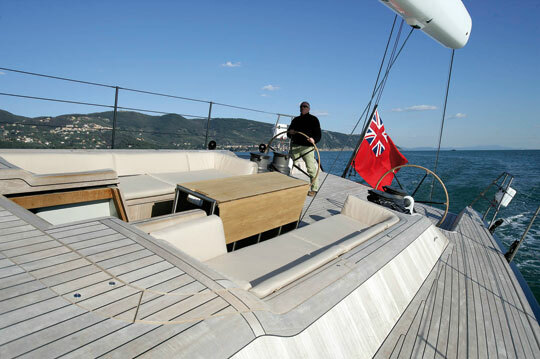 Her cruising comfort is enhanced by simple operation with an in-furling boom and the furling, self tacking jib. 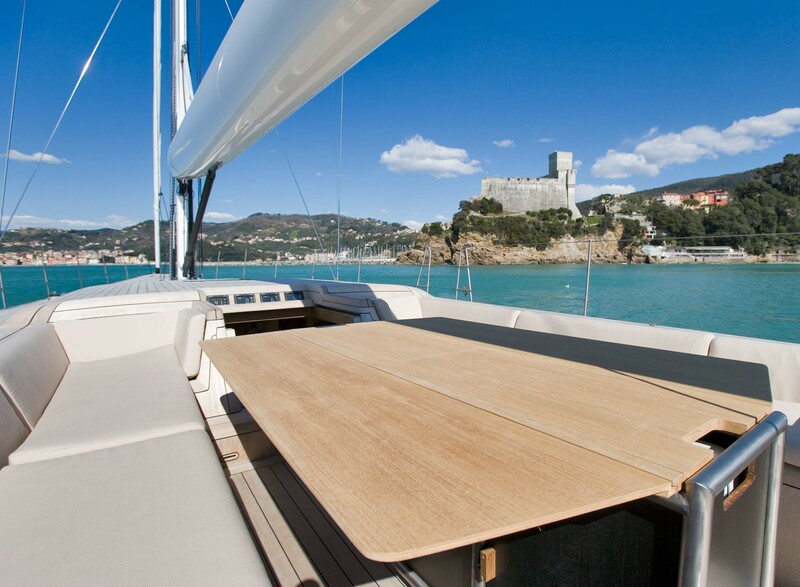 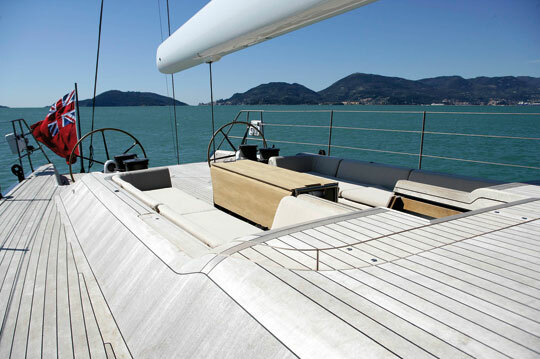 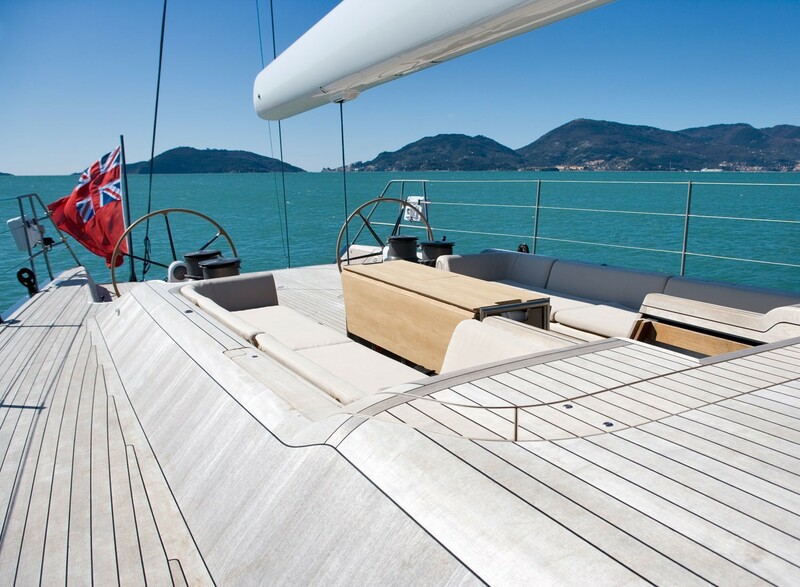 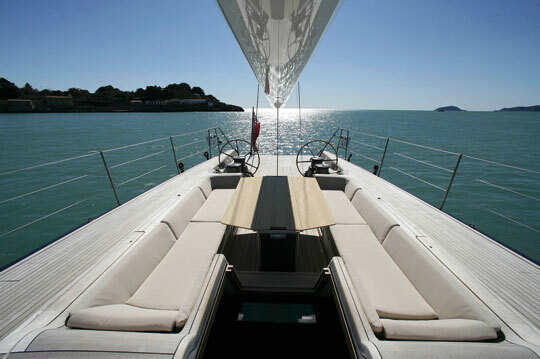 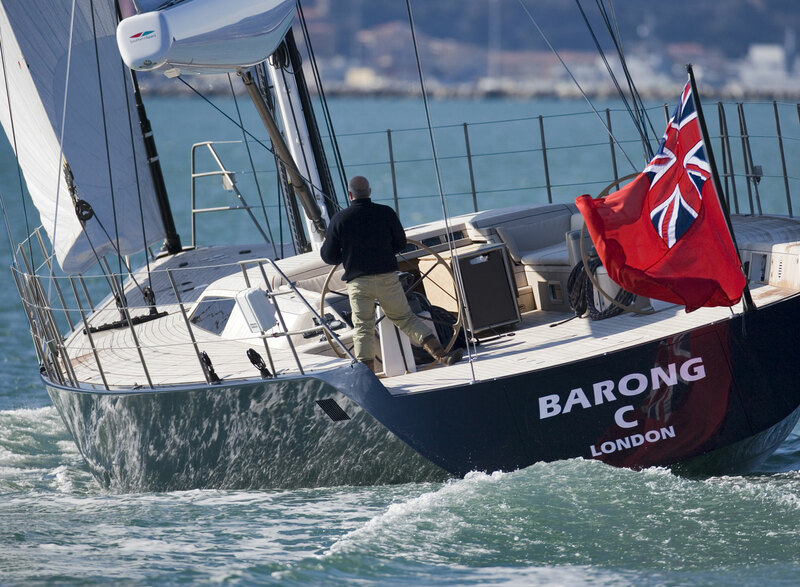 BARONG C has a clean profile with flush desks and all main halyards and sheets run under the deck. 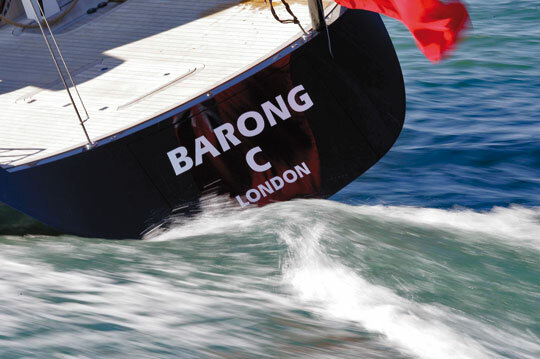 BARONG C is modern and contemporary in every way including her interior design which offers extraordinary height and plenty of deck hatches, portholes and windows for exceptional natural light and ventilation. 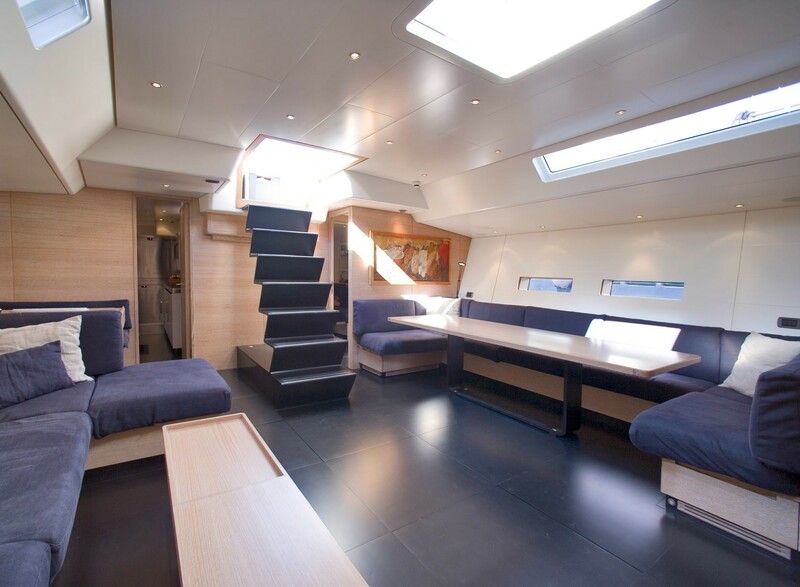 The interior decor combines simple yet luxurious features including bleached teak wood for the joinery and lacquered ceiling and sides. 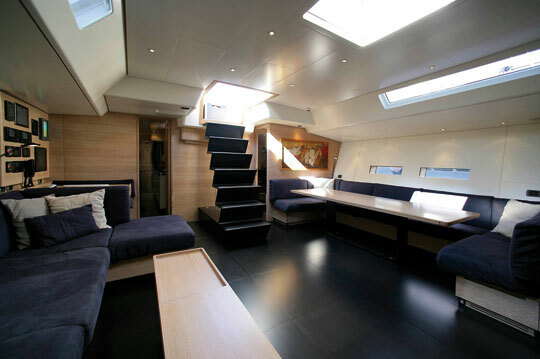 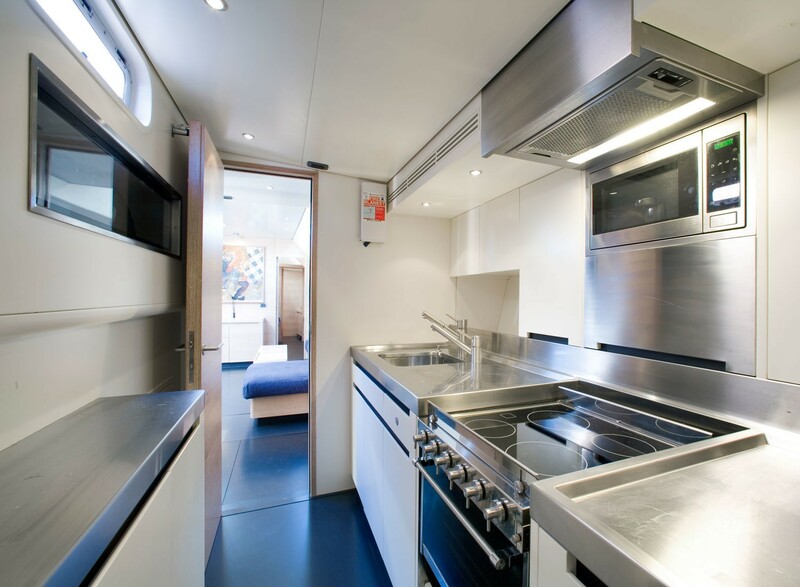 BARONG C accommodates four guests in two cabins with the master suite located amidships. 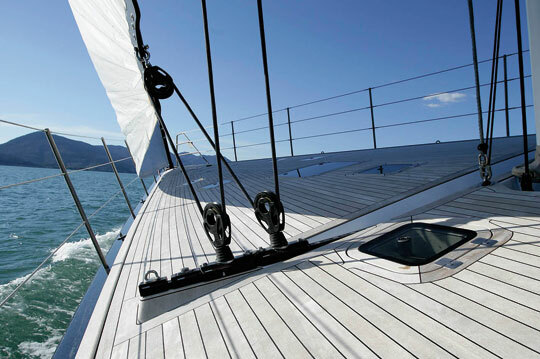 This is the most comfortable position when underway as pitching and rolling is felt to a minimum. 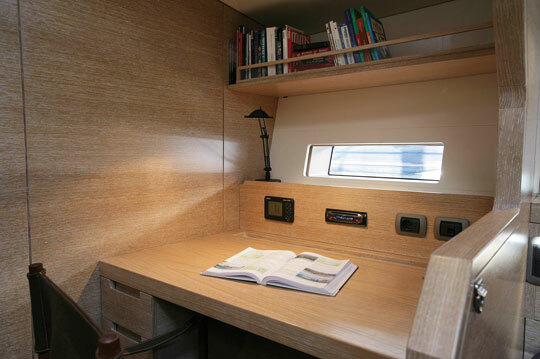 The master is equipped with two queen sized beds, an office and an ensuite bathroom. 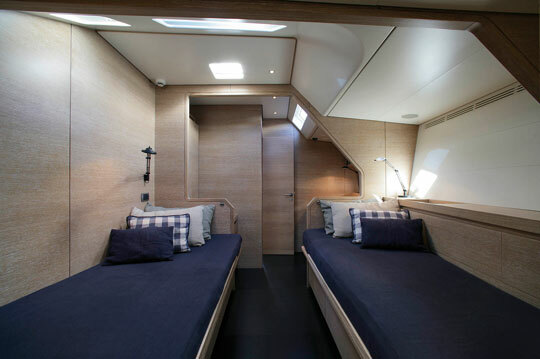 The second guest cabin has two twin beds and ensuite. 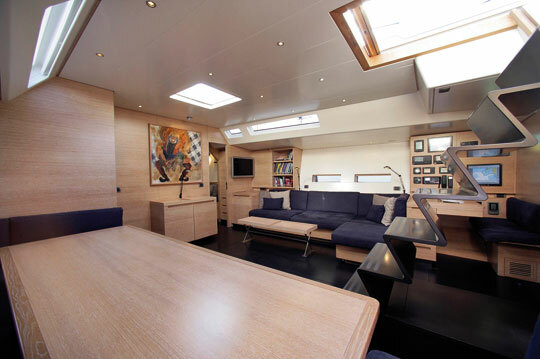 Wally Sailing Yacht BARONG C offers accommodation for four guests in two cabins. 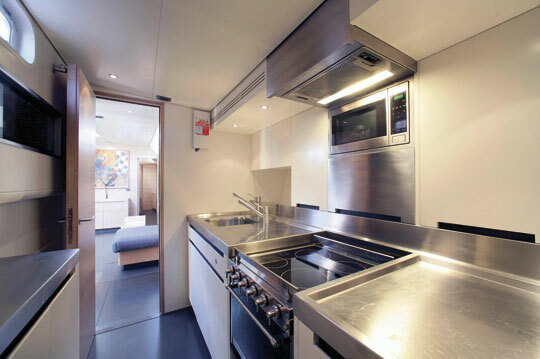 The master is equipped with two queen sized beds, an office and an ensuite bathroom. 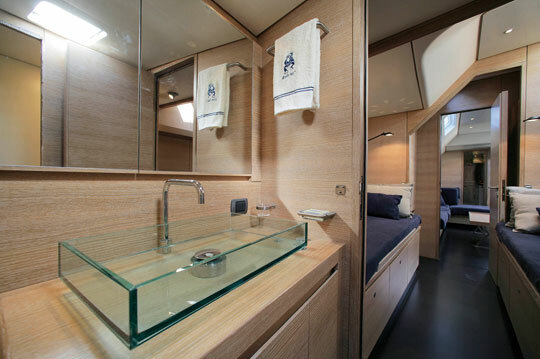 The second guest cabin has two twin beds and ensuite. 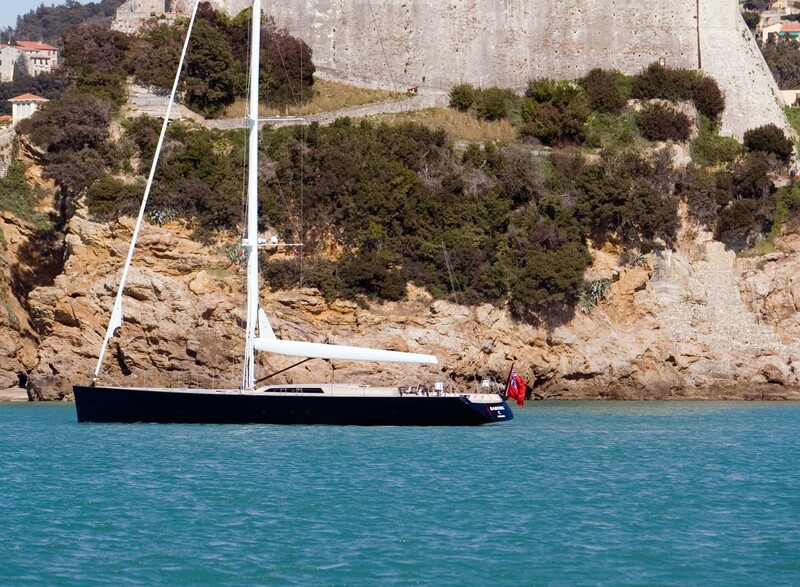 Wally Sailing Yacht BARONG C has a Zodiac 3.6m tender with 25hp outboard. 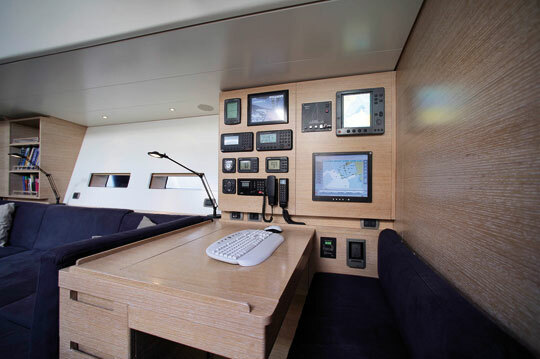 Entertainment facilities including two TV’s, a DVD player and hi-fi system.